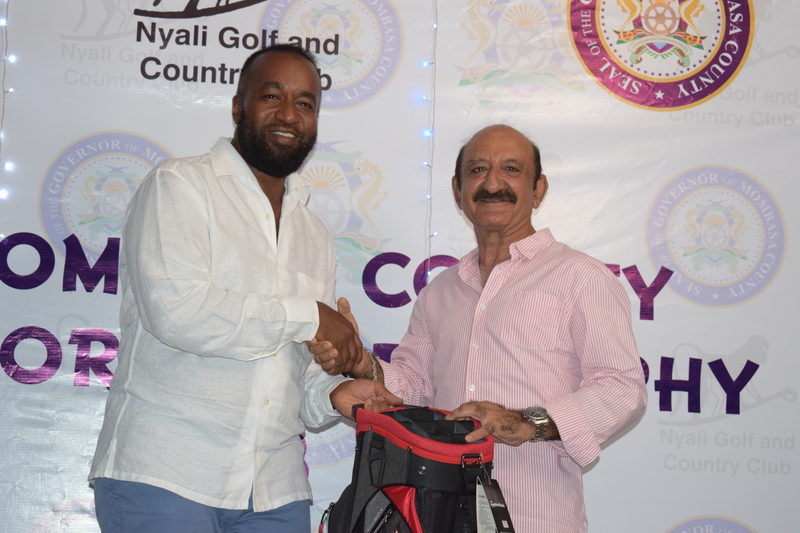 The inaugural Mombasa County Governor’s cup held at Nyali saw a remarkable turnout of 172 amateurs and 21 professionals . 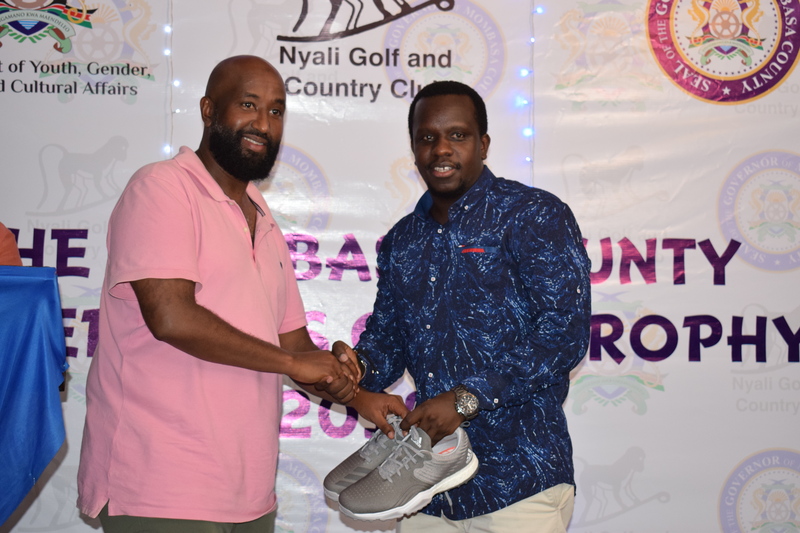 This was the first of an annual event aimed at promoting tourism at the Kenyan Coast as well as development of the game of golf. 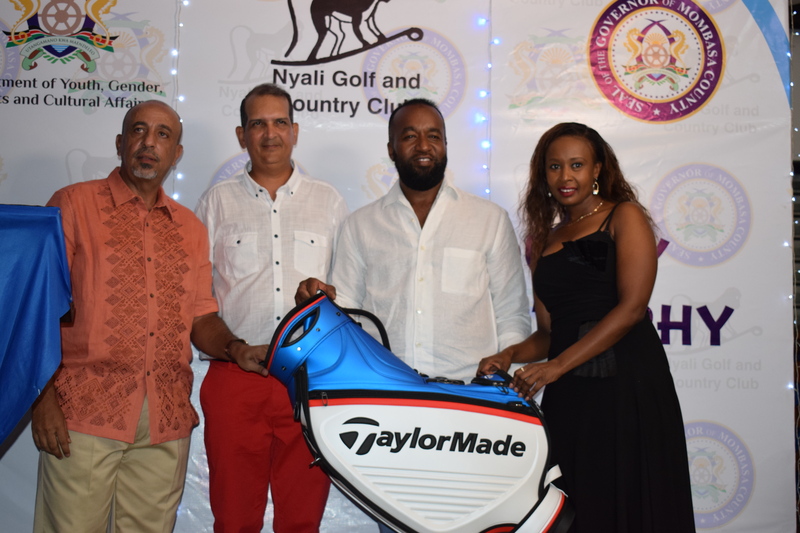 H.E Hassan Ali Joho was among the 172 amateurs who participated in the tournament and later on graced the prize giving ceremony as the chief guest. 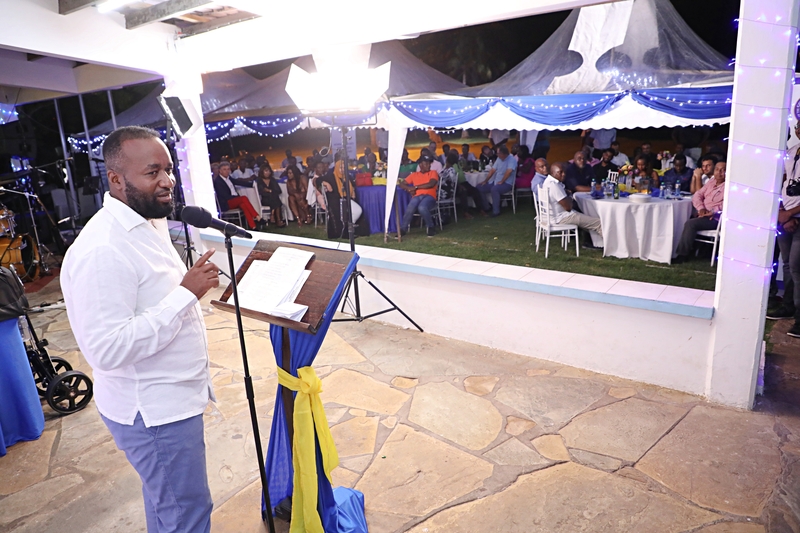 H.E Hassan Ali Joho addressing golfers and other invited guests during the prize giving ceremony. Aameen Dhanji was overall winner with a score of 38 points beating Ijaz Sheikh (men winner) on countback. 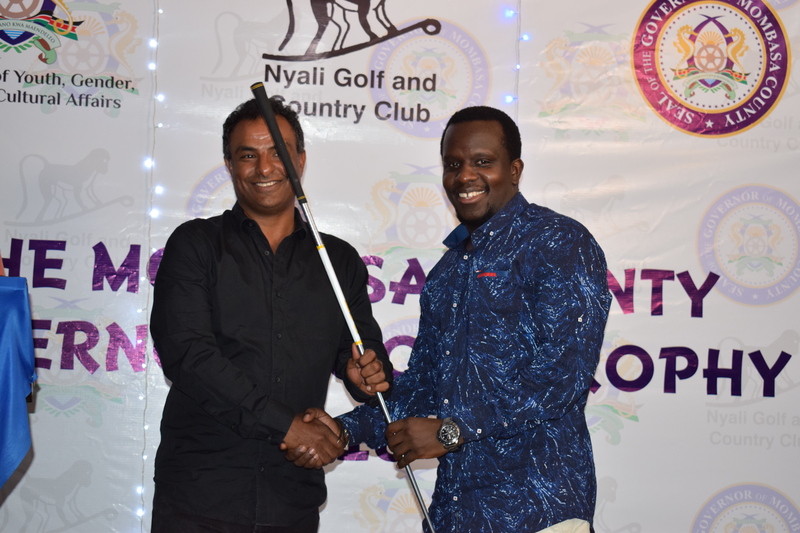 Dinesh Sasan bagged the men’s runner up position by beating Daniel Ondeng’a (men third) on 37 points countback. Overall Winner – Aameen Dhanji (38pts c/b) presented by H.E Hassan Ali Joho in the presence of NGCC Captain, Taib Bajaber & Lady Captain Pauline Gachihi. 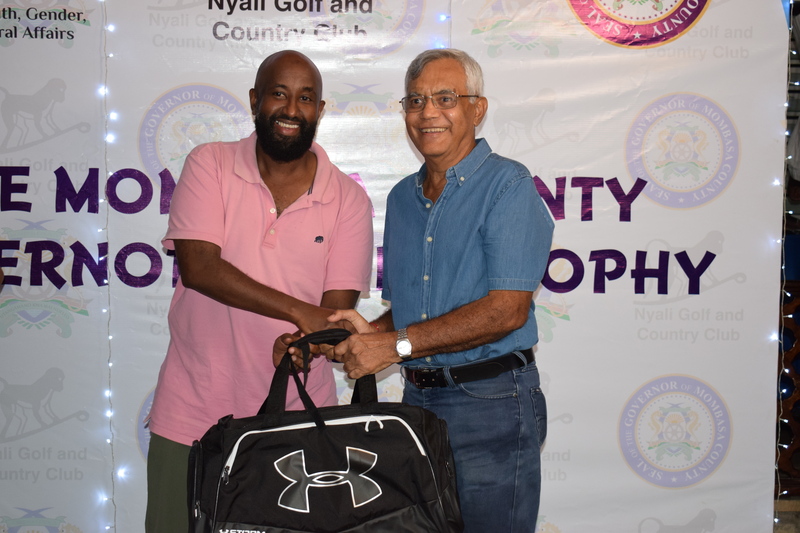 Men Winner – Ijaz Sheikh (38pts) presented by H.E Hassan Ali Joho – Governor, Mombasa County Government. 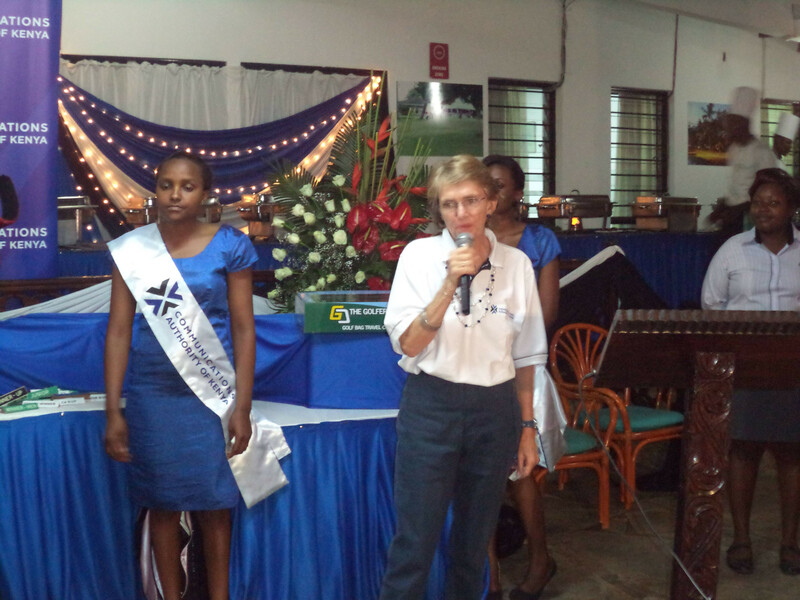 Joyce Masai was lady winner on 38 pts and Mary Kandu lady runner up on as score of 37 points countback. 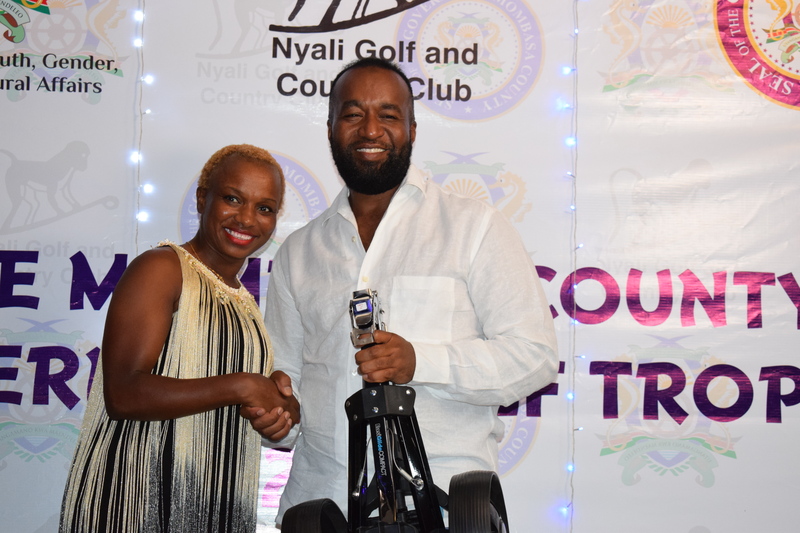 Lady Winner – Joyce Masai (38pts) presented by H.E Hassan Ali Joho – Governor, Mombasa County Government. 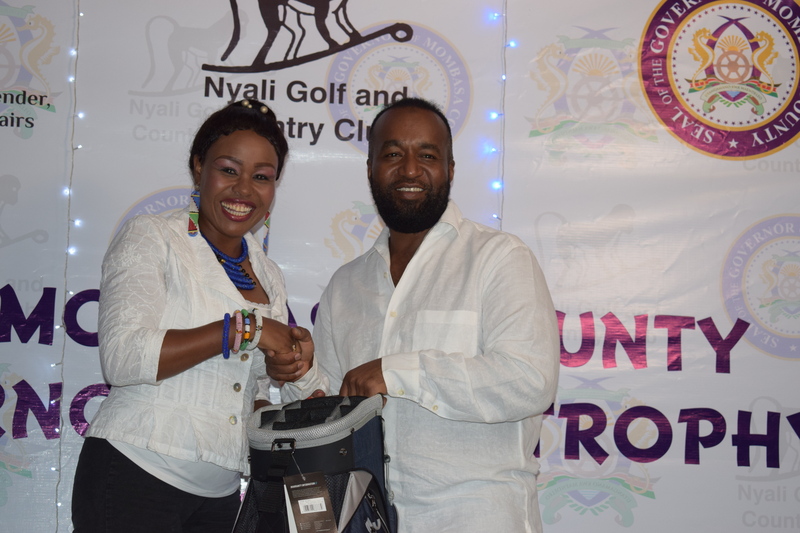 Lady R/up – MAry Kandu (37pts c/b) presented by H.E Hassan Ali Joho – Governor, Mombasa County Government. Dr. J. C. Patel was the best senior on a score 34 points while Alyssa Jamal was the best junior on a very good score of 41 points. 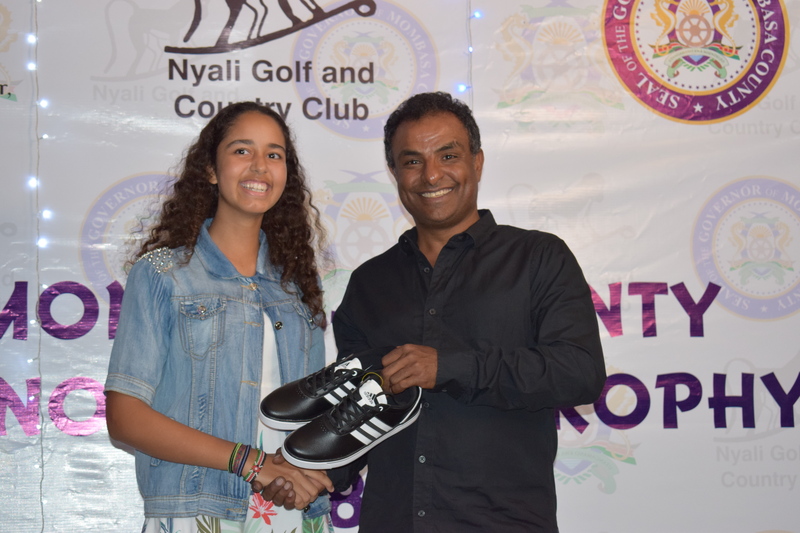 Best Senior – Dr. J. C. Patel (34pts) presented by Said Gulleid, Head of Inspectorate, Mombasa County. Best Junior – Alyssa Jamal (41pts) presented by Taufiq Balala, C.E.C.M Transport, Infrastructure & Public Works. Taufiq Balala’s 33 points earned him the staff winner’s prize and Said Gulleid’s 30 points secured the runner up position in the staff category. Staff Winner – Taufiq Balala (33pts) presented by Munywoki Kyalo, C.E.C.M Youth, Gender, Sports & Cultural affairs. Staff R/up – Said Gulleid (30pts) presented by Munywoki Kyalo, C.E.C.M Youth, Gender, Sports & Cultural affairs. 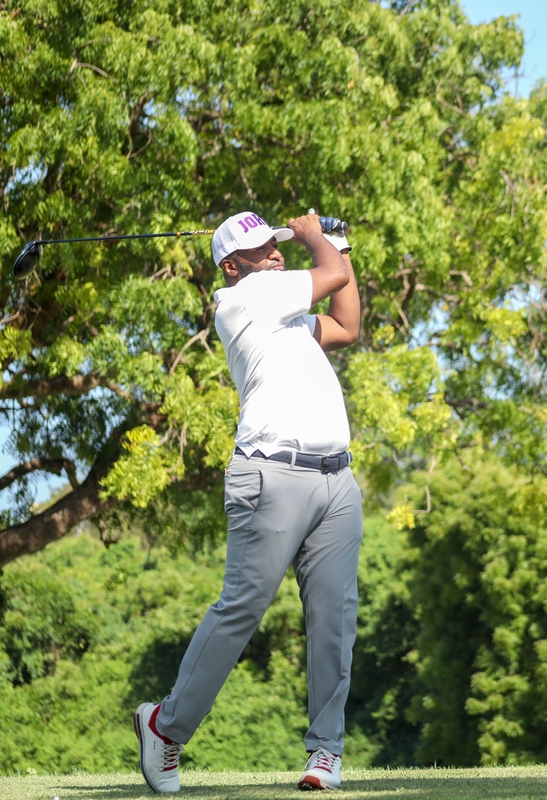 The NG & CC resident golf professional, Njuguna Ngugi finished at the peak of the pros’ category. Simon Ngige was second as David Wakhu & Kopan Timbe tied in third position. 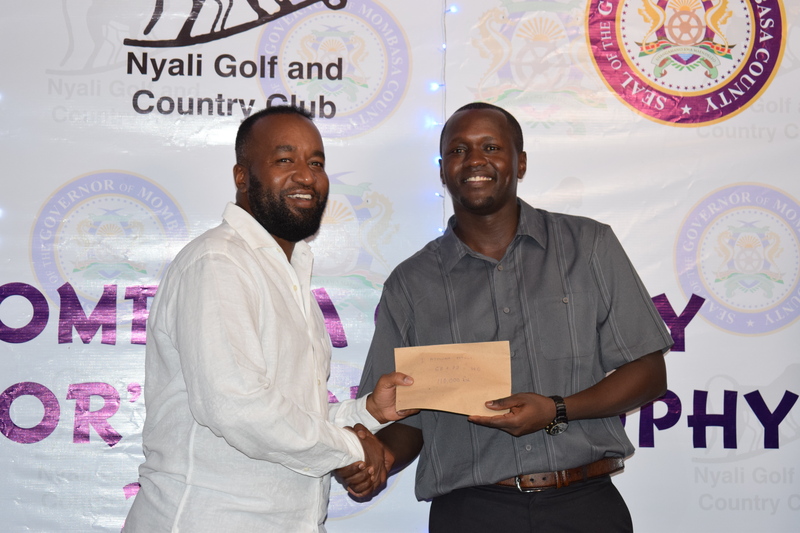 H.E Hassan Ali Joho presents winnings to Njuguna Ngugi.